Fear that a nosy friend or co-worker is spying on your personal life? Well, there's an app for that. 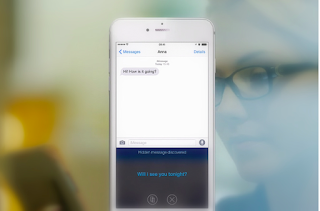 Kibo allows its users to send naughty (or other) messages under the guise of encoded everyday messages. So if you need a bit of relationship privacy or have a super private business deal - you may want to try Kibo out. We may just try it for the fun of it.